Way back in October, 2K Sports announced full details for the NBA 2K15 MyPARK mode. In the press release and livestream, they mentioned the affiliation winning the most Rival Days across all platforms would receive a newly designed home park. "From October 11th through to the weekend preceding the NBA All-Star game, the MyPARK Championship will pit all 3 affiliations against one another in weekly rounds of competition. All travel restrictions are lifted during the events. After each round, the winning park’s participants will be awarded prizes such as VC, Rep bonuses and exclusive accessories with attribute boosts. The 1st place park will earn 2 points for the round and 2nd place 1 point. These points count towards the MyPARK Championship where the park leading at the end will win a newly designed park to call home!" 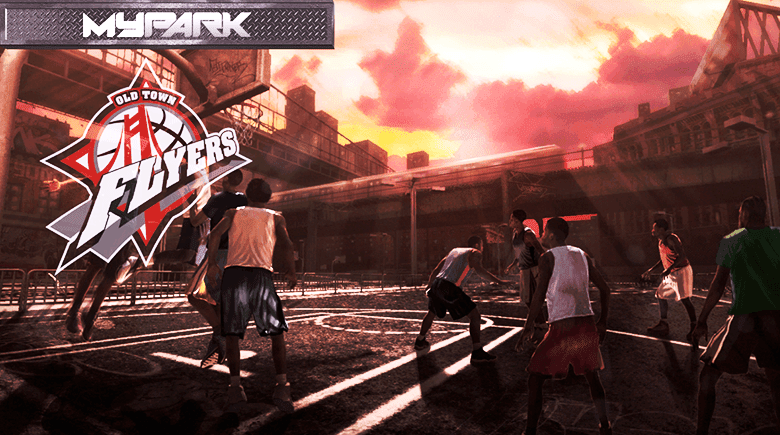 Today 2K Sports have announced the NBA 2K15 MyPARK Champions are the Old Town Flyers and a new park is coming soon for them.